Wash and soak rice for 5 hours or overnight. 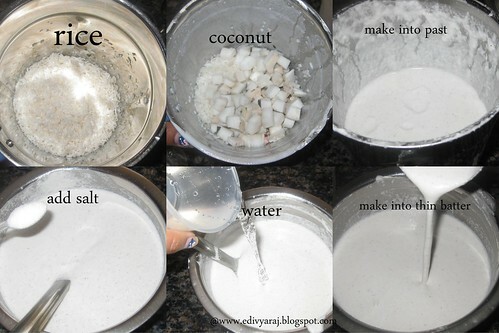 Grind soaked rice along with coconut to fine paste by adding sufficient of water. 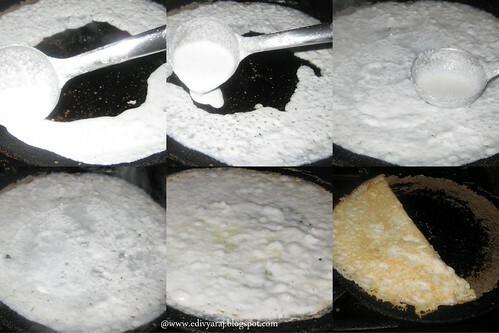 Transfer the batter to a vessel and add salt mix well.add water generously such the batter attains running consistency. 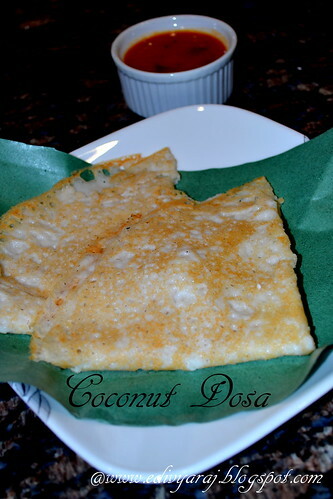 Heat a non stick or dosa pan. 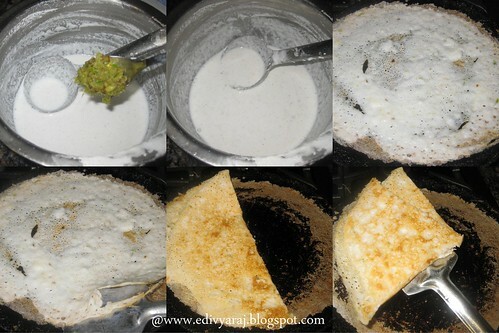 Once its hot , stir the batter once to mix well.Start spreading the batter as shown in the picture or sprinkle the batter unevenly and now join those dots using batter.Run spoon full of oil or oil spray on the dosa. 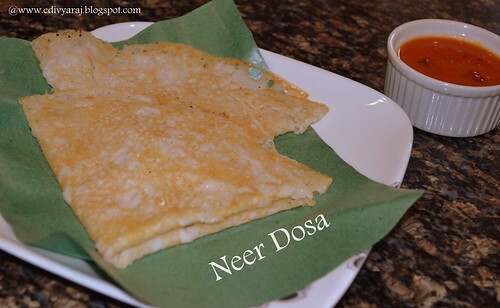 Cook it on a medium flame.Once its cooked the edges of the dosa will start leaving the pan.Using a spatula,slowly fold it to half and transfer to a serving plate. If u want spicy flavor u can add green chilli paste into the batter mix well.Repeat the process with the batter. 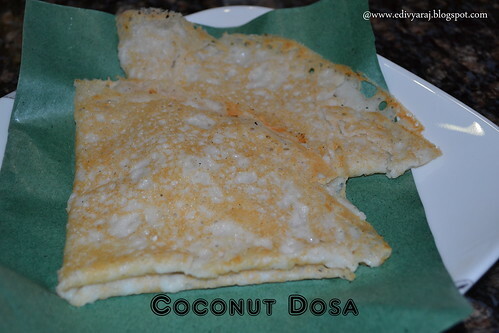 Serve with tomato chutney or any other kind chutenys or plan dosa without chutney also u can have.